Being an eminent organization in the industry, we are involved in providing a premium quality range of Marble Bird Bath. Marble Bird Bath are the most popular of our range and you’ll find everything from fairy bird baths to traditional bird baths featuring kittens, grapevines, and many other elegant designs. By keeping track of current market development, we are into offering an excellent range of Marble Bird Bath. We manufacture Marble Bird Bath in stone. 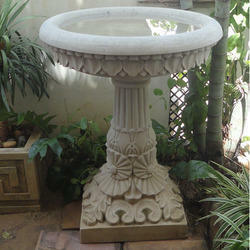 We are the major exporter of stone Marble Bird Bath. We are the supplier of Marble Bird Bath. We make Marble Bird Bath in many color. We make Marble Bird Bath in different stones. 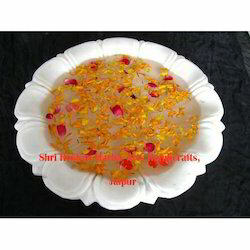 We are reckoned as a prominent Marble Bird Bath Manufacturer, Supplier and Exporter from India. Made and designed by skilled artisans using beautiful marbles, our Marble Bird Baths are high on demand. Intricate designs and modern looks of our Marble Bird Bath are highly appreciated by the clients. We offer our clients highly acclaimed range of Bird Bath that is acclaimed among the clients for optimum quality and durable standards. Our entire product range has smooth finishing and is in adherence with set quality standards. They add attractive look to the environment and are delivered in well-defined time frame. Moreover, we offer them at most affordable rates.